With strong ties to the Scandinavian country of Norway, the history of Cognac Tiffon dates back to 1875. Tiffon is to this day a family run business and located at the beautiful family home, the Chateau de Triac, just 5 km from the town of Jarnac. The Chateau itself has a battle-scarred and convoluted history, dating back to the 11th century, which includes being razed to the ground by fires and wholly demolished during the Hundred Years’ War. Today, the family grows 40 hectares of Grande Champagne and Fins Bois vines, overseen by cellar master Richard Braastad, who comes from an old cognac producers’ family. Tiffon has a history entwined with a rich past and present of cognac. In 1875 Mederic Tiffon founded La Maison Tiffon in Jarnac. Sverre Braastad marries in 1913 Edith Rousseau, niece of Tiffon’s founder Mederic Tiffon. Sverre Braastad continued the family business in 1919 and established Cognac Tiffon S.A. 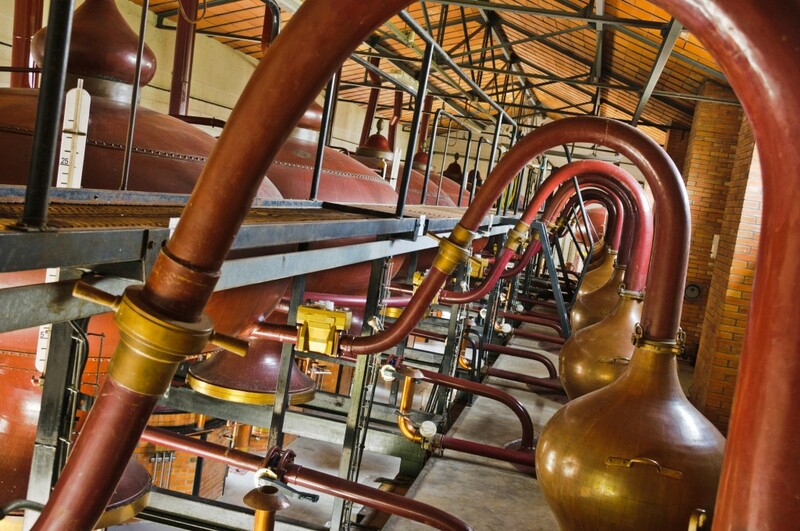 This company he develops into the largest family-run company within cognac production. The firm acquired in 1920 the building on the quay L'Ile de Madame as a storage place. In 1965 a distillery was also built. Sverre Braastad bought the Chateau de Triac in 1946. Tiffon buys Boutelleau in 1990, with beautiful old stock. Formerly owned Boutelleau by the well-known writer Jacques Chardonne, who was initially being called Boutelleau. In 1998 Richard Braastad, Cellarmaster, together with Ansley Coale of Craft Distillers, creates the brand Maison Surrenne for the American market.